One failure does not make a team or a player bad. This applies to India’s current situation, even if their confidence is likely to be dented to a huge extent after losing at Melbourne. 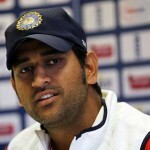 Dhoni might have the Midas touch as captain, but whether that touch working in overcoming challenges is not guaranteed. And his task will be to ensure that there is no panic in the team, and let it focus on looking forward to a bright start to 2012 rather than dwell too much into the defeat a few days ago. Dhoni and coach Duncan Fletcher though might think about the places of the Delhi duo, Gautam Gambhir and Virat Kohli for the Sydney match. Gambhir’s failure towards the ball between short and good length, seaming away from the off-stump was one of the major highlights of India’s batting in both the innings and the Aussies might be licking their tongues as they can sniff the opportunity to trouble him throughout the series. He may have done reasonably well in the last series against West Indies, but those scores came on flat tracks while there is a technique required to play in Australian conditions which are not so batting-friendly. Besides, Gambhir has struggling for long with his fitness and so his form has dipped alarmingly after winning the ICC Test player of the Year award in 2009. The last time he scored a Test century was against Bangladesh in January 2010 and ever since, his average has been below 30. India at the moment needs an in-form player since Australia is no Bangladesh or Zimbabwe. So Gambhir will have to fight hard as his place in the team for the Sydney game is hanging by a thread and even if he does play in that match, another failure might just give the team management a hint that Ajinkya Rahane, the standby opener should be handed a Test debut at Perth. Though, Gambhir is likely to be given another chance to prove his ability because Sydney is usually a spin-friendly track and he is one of the finest players of spin in the team and the fact that he is too classy a player to be impatient with and drop him from the side. While Gambhir’s shortcomings have grabbed the eyeballs of many, Kohli’s outing at the MCG cannot be put in the trash bin. It was anticipated that Kohli would flourish against a rookie Australian bowling attack, with the form he has been in recently. But it was not to be as scores of 11 and 0 are a worry for him more than the team as another youngster and in-form player, Rohit Sharma is waiting in the wings for a Test debut like Rahane. Kohli as well has problems dealing with swing bowling, and a player having played only 5 Tests in his career cannot be expected to sort out his problems in his jiffy. Not to mention that 3 of those Tests were in the West Indies and 1 of them was against the Windies at home, while the 5th Test was the MCG one. Rohit Sharma is the favourite to take over Kohli at that crucial no.6 position, but when, is the million dollar question. For the SCG game, Kohli also could be retained in the starting XI considering how well he played Nathan Lyon at the MCG despite his innings being short. And the fact that his form in the warm-up games cannot be ignored too quickly by the team management. Besides, he is the best fielder by far in this Test team with the absence of Suresh Raina. Fielding also has a key role to play in the outcome of a Test match and Kohli can save many runs for the side as he has done in the past. Ravichandran Ashwin also had an average outing at the MCG. However, unlike Gambhir and Kohli he cannot be blamed for his performances as the pitch had nothing much in it for the spinners to bowl in, as Nathan Lyon too struggled to bowl. And the fact that MS Dhoni set extremely defensive fields for Ashwin in particular to bowl at, while Ashwin is an aggressive and cunning bowler irrespective of the format of the game he is playing in. Besides, he was unfortunate not to have picked his CSK team-mate Michael Hussey’s wicket in the second innings, with Rahul Dravid dropping a sitter at first slip. Plus, his batting too was impressive for a lower order batter with two scores of above 30 in the game while the other batsmen struggled on a deteriorating pitch. India cannot afford to lose the faith they have in themselves as it is just one loss they have to deal with as of now. It has happened in the past so often, and they have amazingly fought back from such a situation. If the team is changed for the Sydney Test, it could definitely spell disaster for the side as Australia would sense the fear in the opposition and play on their minds more than with the bat and ball to win again. There is no need for a change as Gambhir, Kohli and Ashwin have proved their mettle for the team time and again and it is just a matter of one good outing for the trio to settle issues confronting the team. Otherwise, it is likely that Duncan Fletcher’s poor record in Australia as coach and MS Dhoni’s streak of losing consecutive away Tests as captain will continue while Australia could regain the Border Gavaskar Trophy after a span of four years.